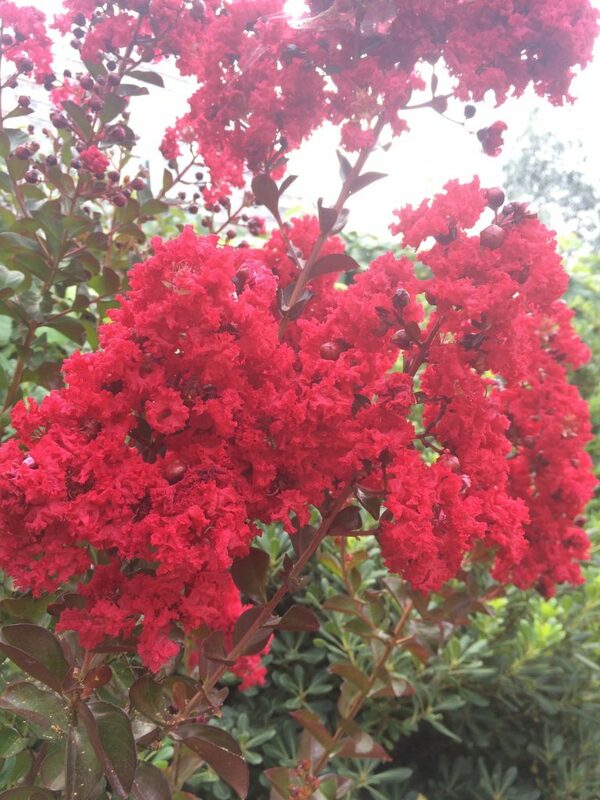 Extraordinary tree that has the truest red flowers of just about any crape myrtle. 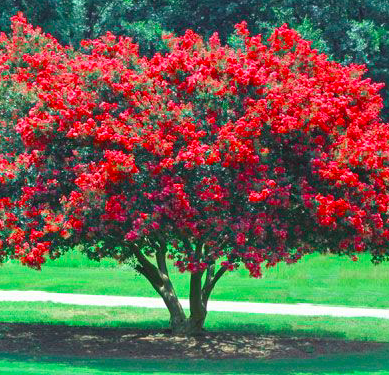 Fast growing upright then spreading tree to 20′ tall and half as wide in 10 years. Exfoliating smooth tan bark in time. New growth is deep maroon settling to mid green. In August to October this reliable bloomer is stunning with fire engine red huge trusses of flowers. This is a large tree and is already planted as a street tree in PDX. Fall color is a brilliant mix of orange/yellow/ red. Full all day sun in a hot position with regular deep irrigation to bloom. Disease resistant with good air circulation. Spectacular tree in all of its parts. Unauthorized propagation prohibited. Plant patent #10,296.